dymo « Where are the Joneses? 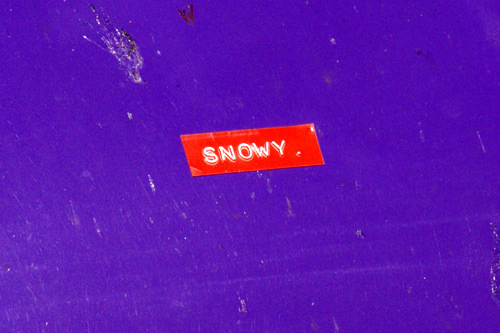 Snowy is a good name for a car, and she did very well driving back to France. It seemed a bit weird to name a car after a woman who died in a road accident, but it all seems fine. I resisted buying more Apple Temptation. I’ve got a bit sick of it. I’m back on the Cacolac. 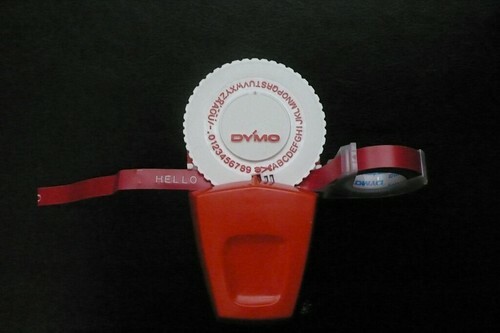 I got my first Dymo embosser from my Mum when I was eight, the Christmas before she died. Three months later, when me and my The Man Who Brought me Up were designing the gravestone, I wanted to do the inscription myself with the Dymo. Dad persuaded me that the glue wasn’t weatherproof and we went for a floral carving and the words ‘We miss our Mary Mum’.